A lonely, nerdy paperboy encounters ancient evil on the shadowy back roads of his home town. A little girl spends her nights dreaming of monsters and teaching herself the art of murder. Sherlock Holmes journeys to America for an encounter with the ghost of a murdered woman. A samurai sails to a forgotten island to battle the living dead. Special ops soldiers fly the void to fight space pirates. A heartbroken junkie seeks vengeance for his murdered friend. 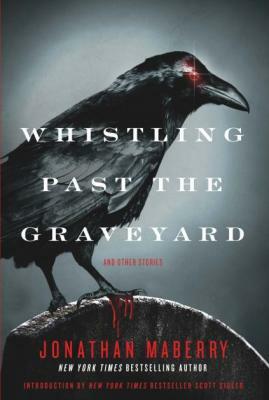 Whistling Past the Graveyard is the first print collection of short fiction by New York Times bestselling author Jonathan Maberry. These creepy tales of horror, suspense, adventure and mystery take readers to the troubled little town of Pine Deep, to the Feudal Japan of the Samurai, to the angry red planet of John Carter of Mars, and elsewhere. These are strange journeys through nightmare land, with a five-time Bram Stoker Award winner as your guide.